Every year Cisco releases an annual Cybersecurity Report detailing the state of global cybersecurity. 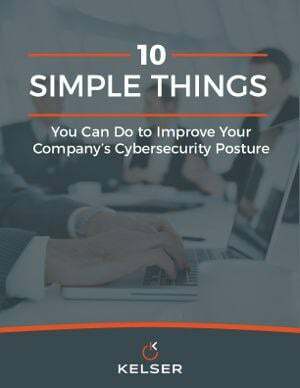 In the most recent edition, two key trends stood out to me as threats that every business owner and IT manager should be aware of and prepared for. The “as a service” business model, in which third-party consulting firms provide IT services to customers on a subscription basis, has been nothing short of a revolution. In particular, network as a service (NaaS) has saved many companies from having to build their own networking infrastructure in-house. Configuring and operating devices such as routers, WAN optimizers, and firewalls is no easy task even for IT experts. Maybe your in-house IT staff is overworked, or perhaps you simply don’t have the expertise necessary to build a robust network infrastructure. Whatever the reason may be, a growing number of businesses have chosen to outsource much of the heavy lifting to a network services company. Although there are many network services providers out there, not all of them are the right fit for your business. However, just because you’re not an IT company doesn’t mean that you aren’t able to evaluate potential IT partners. Below, we’ll discuss the six most important traits that you should look for in a network services company.